Review by David Stone with photography by Jessica Stone. 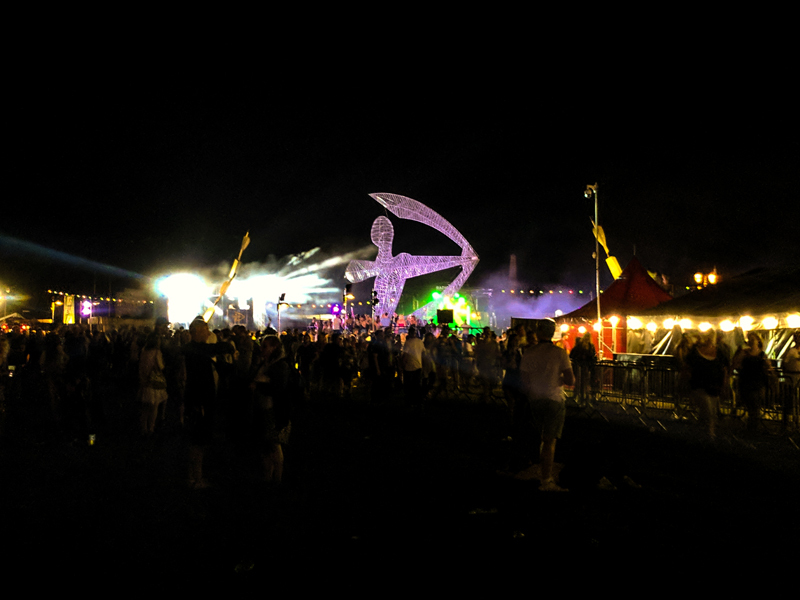 Friday night’s opening party was a new addition for 2017, pulling in thousands of people to a smaller section of the festival grounds for a diverse line up of acts across four stages. The Castle stage took the lead role on night one, with local seven-piece The Racketeers starting the show with a unique mix of ska, blues & soul. The field in front of Southsea Castle started to fill as the Silver Beatles took us through solid renditions of classics including ‘Day Tripper’ and the guaranteed sing-along ‘Hey Jude’. Indie/art rockers Sundara Karma continue to be one of my unexpected favourites on this year’s festival scene, with a sound that’s perfect for closing your eyes and getting lost in the music. 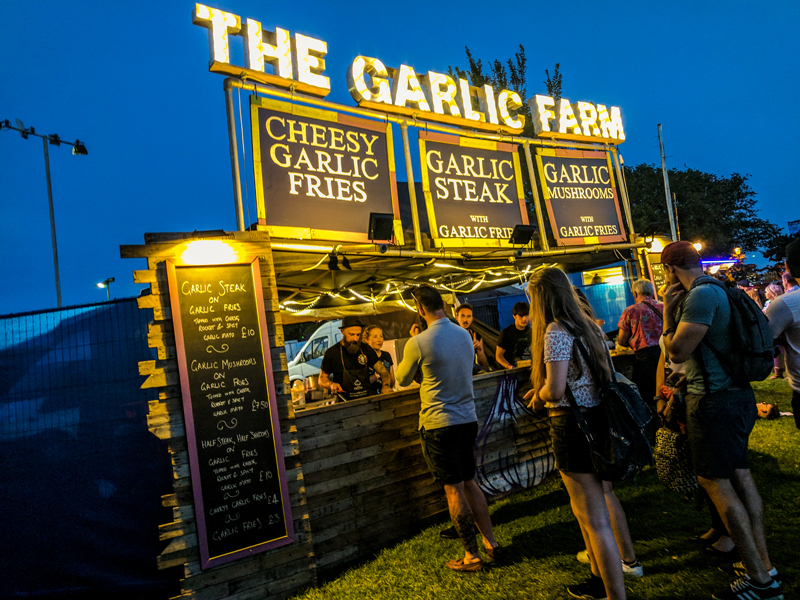 Elsewhere, Craig Charles‘ brought his Funk ‘n’ Soul club to Victorious for a two hour set at the Mayfield-sponsored Real Ale stage, and locals Ska Dogs were thrilled to have caught the attention of Madness frontman Suggs, just moments before he took to the Castle stage. The Charlatans kept the crowd lively with a thoroughly enjoyable 45 minute set, punctuated by ‘The Only One I Know’. 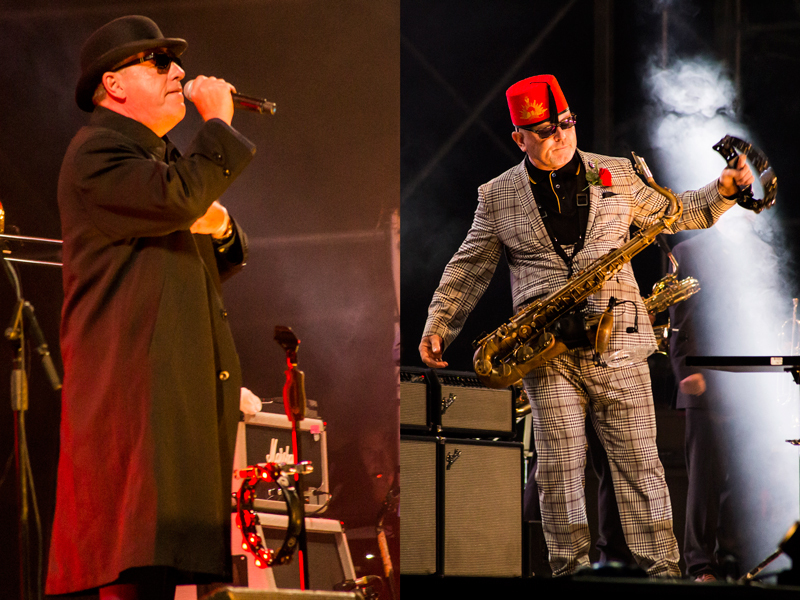 With a crowd of eager fez-dotted fans primed and ready, it was time for Suggs and Madness to make the trip from the crowd to the stage. Clad in a unique jet-black coat & hat combo, the frontman lead his troops through a laid-back hour of their latest and greatest, including ‘It Must Be Love’, ‘One Step Beyond’ and ‘Baggy Trousers’. Lee Thompson’s antics were a highlight, with the saxophonist displaying bundles of contagious energy right from the very start. Whilst at times it seemed like the Friday night was even more popular than the Victorious team had expected, everyone we encountered was having a great time taking in the sounds and sights of the opening party. With the full festival site opened up, Saturday showed how popular Victorious Festival has become. 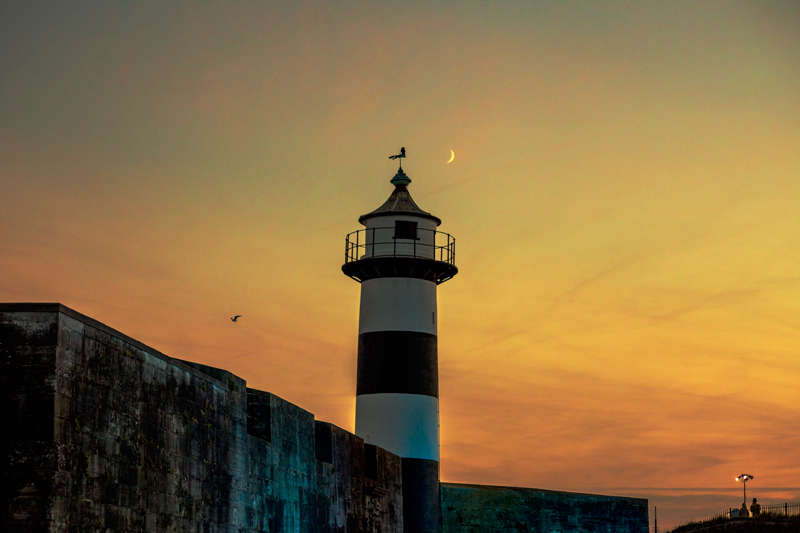 Over 51,000 people turned a vast area of Southsea’s coastline into a hive of activity, with crowds forming around every stage, attraction and exhibit. 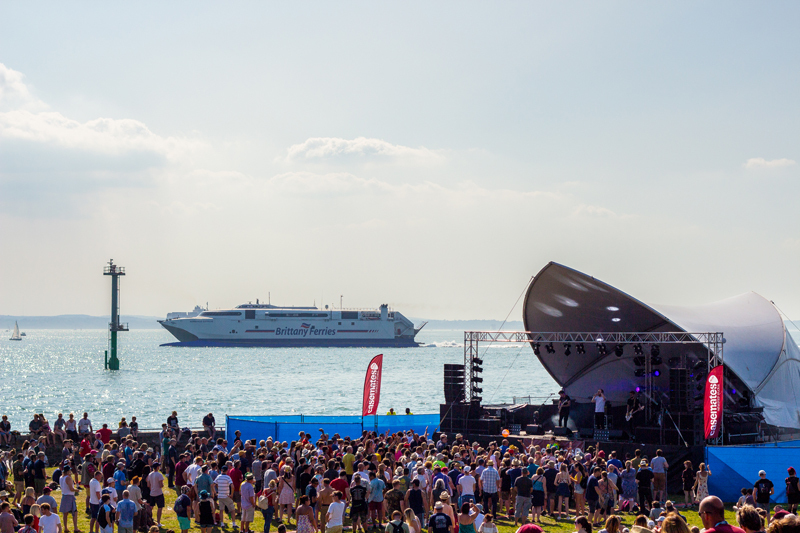 The sun blazed down once more as 13 stages came to life across the site, featuring everything from world music and world-famous rockers to local bands, solo artists and choirs. Strolling around the grounds would consistently allow you to catch a familiar tune or something new and interesting carried by the breeze, allowing you to follow the music to find something to enjoy. There’s something for literally everyone – from kids to oldies, metalheads to clubbers and pretty much everything in between. 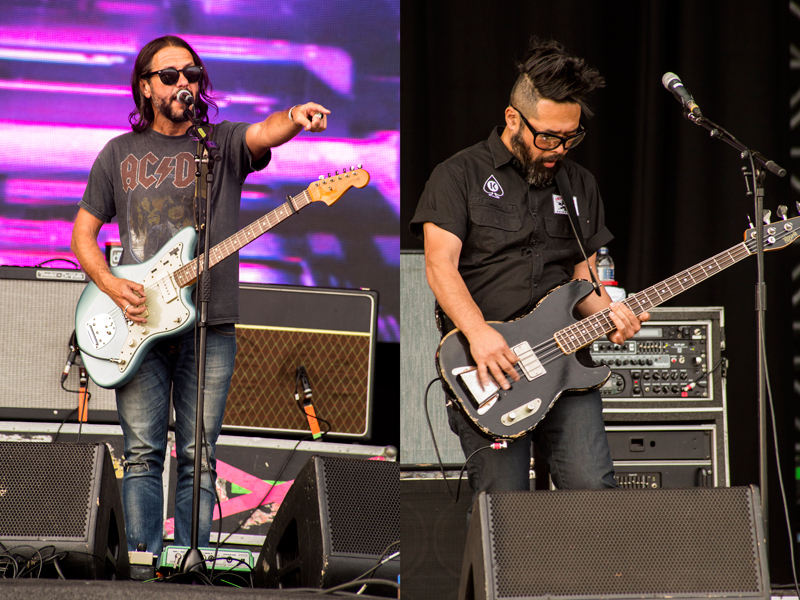 Indie rockers China Bears opened up the Common stage for the weekend as people started to stream in through the gates. The big early-afternoon attraction was a special solo performance by Frank Turner, who treated those who got in early to a set of his catchy sing-alongs, including ‘Get Better’ and ‘Recovery’. Hertfordshire’s The Hunna impressed with a set including ‘She’s Casual’ and ‘Bonfire’, which earned them a shout-out from Feeder frontman Grant Nicholas when they took to the stage. The Welsh rockers took a crowd of thousands through a mix of old and new, leaving their biggest hits until last as they wrapped up with ‘Buck Rogers’ and ‘Just a Day’. Maximo Park were up next, with a performance featuring many tracks from their new album ‘Risk To Exist’ – a risk in itself that seemed to pay off, with a good portion of the crowd getting behind Paul Smith’s charismatic delivery of tracks like ‘What Equals Love?’ and ‘Get High (No I Don’t)’. As the sun began to set on the first full day of Victorious, Band of Skulls gave a standout performance on the Castle stage ahead of a headline set by Rita Ora. 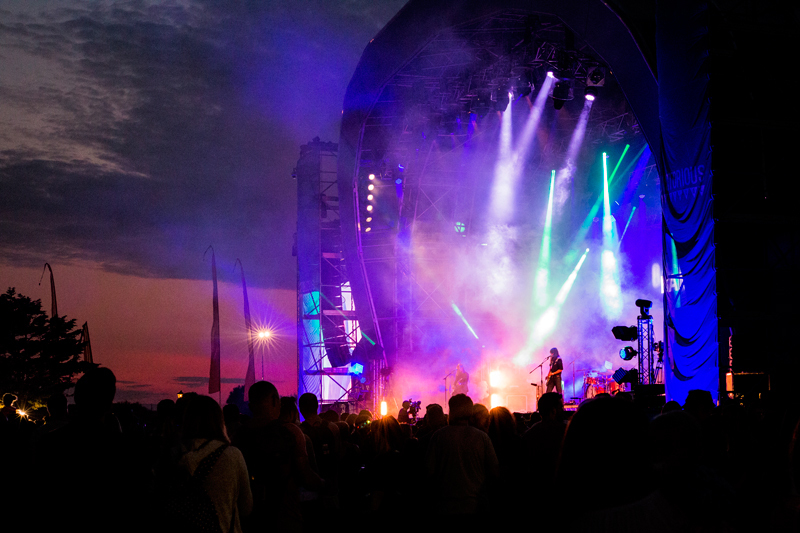 Both acts drew sizable crowds in front of Southsea Castle, going up against Jake Bugg and the Stereophonics on the Common stage – a fact that serves to make the size of the audience on Southsea Common that much more impressive. 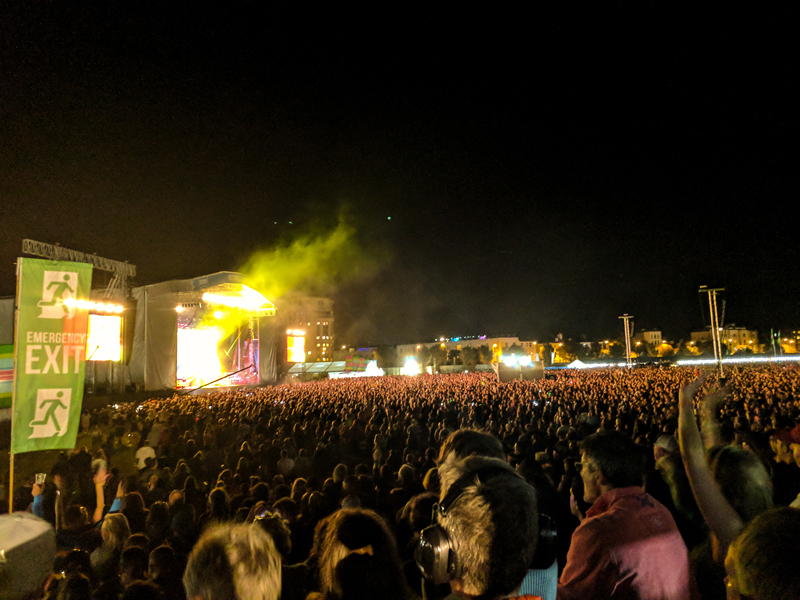 Jake Bugg strummed his way through Lightning Bolt in front of tens of thousands, and by the time Stereophonics took to the stage the entire common was packed with fans. In front of an audience stretching all the way back to the Radio X stage at the back of the field, Saturday’s headliners played a set of classics including ‘Mr Writer’, ‘Just Looking’ and ‘Bartender and the Thief’. Hearing tens of thousands singing along to ‘Have a Nice Day’ is incredible, as was the end of their performance. Finishing with ‘Dakota’, the common was lit up with fireworks and showered with confetti to mark the end of a fantastic day of music. You know it’s going to be a great day at a festival when the first band you hear jump right into your daily playlist! The Slow Readers Club pulled double-duty on Sunday, opening the Common stage with a set of dark indie-electro tracks reminiscent of great bands like Interpol and Editors. They later played a full set on the Seaside stage, with the ocean providing an incredible backdrop to the music. The glorious summer weather continued for a third day in a row, and with the festival site a little quieter for most of the day it allowed for a more relaxed atmosphere around the Common stage, with many choosing to grab a spot to sunbathe for the afternoon. 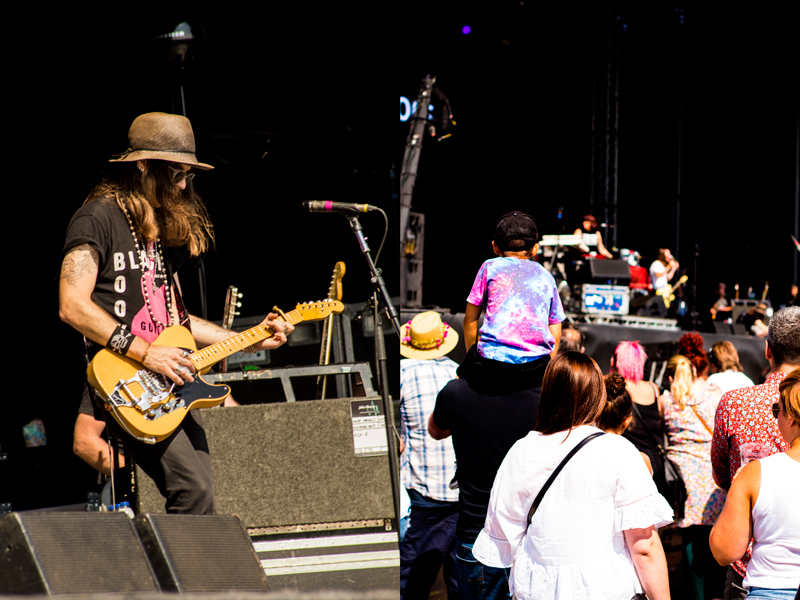 Alt-rockers The Dandy Warhols took the crowd on a 45-minute stroll through their vast back catalogue, including – of course – ‘Bohemian Like You’, before a bit of nostalgia swept across the common. Rhythm of the 90s got the crowd bouncing along in the scorching heat to a complete ‘best of’ from the era, giving everyone some club night/school disco flashbacks. Lil’ bit of Faithless – Insomnia anyone!? Field Music and Turin Brakes kept things mellow on the Common stage into the early evening, whilst the Castle stage hosted half-hour sets from bands including local pop-rockers Kassassin Street, who were joined by Jerry Williams for a local collaboration on ‘Do or Die’. Indie legend Pete Doherty’s antics livened things up in the early evening, with the Libertines frontman swaying around the stage, hurling guitars to stage left and mic stands at photographers. A fantastic 45 (ok, maybe 50… could’ve been 55?) minute set came to an abrupt end when the organisers cut the sound and had the crew usher the band away with some quiet words… but not before they took a bow. 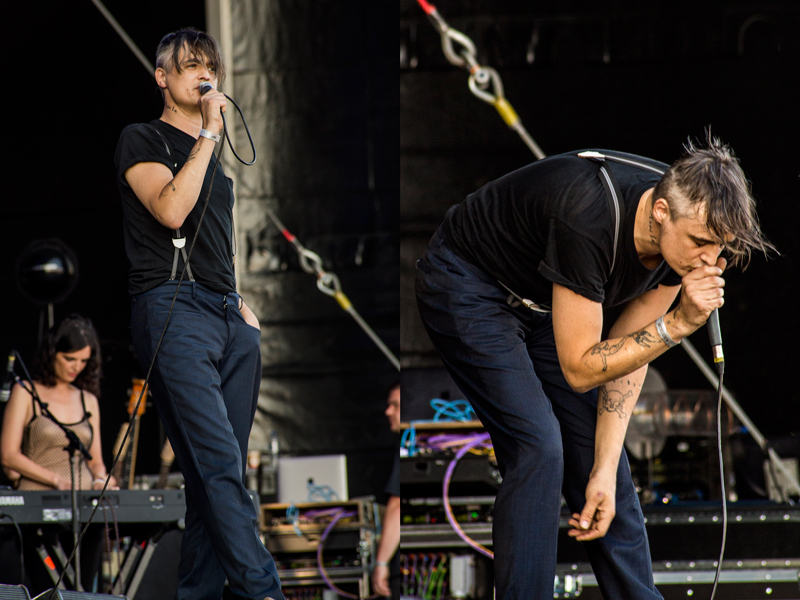 The Common stage kept up the rebellious theme as Slaves smashed their way through a raucous set of their angry, thumping rock noise, refusing to hold back for a family crowd. Exactly what their fans would’ve expected from the brash duo. Then came the battle of the super-popular Scots! 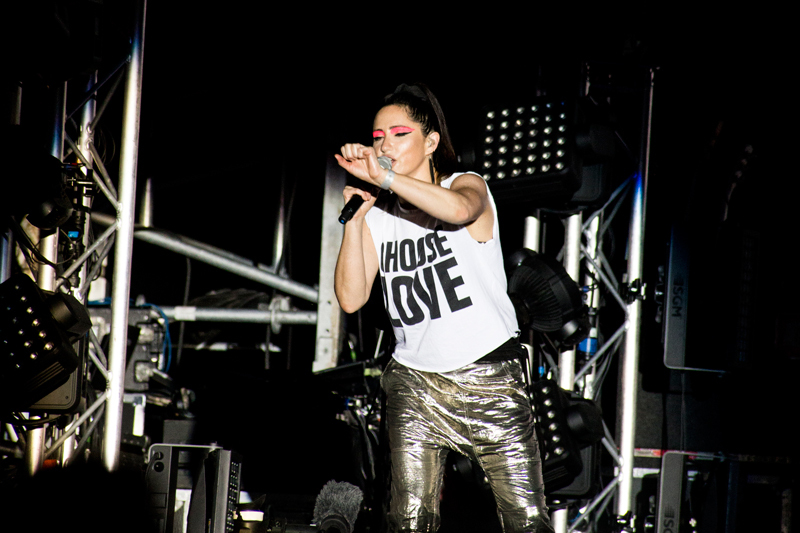 A scheduling clash between KT Tunstall and Franz Ferdinand had us making the choice between two of our mid-noughties rock favourites. KT won out for us, treating those who chose her to a superb high energy, interactive set which included a ridiculously good mash up of ‘Black Horse and The Cherry Tree’ and ‘Seven Nation Army’ (with that riffplayed on a kazoo), and finished with singalong favourite ‘Suddenly I See’. The other camp received a hugely well-received 50 minute set of vintage Franz goodness – including ‘Do You Wanna’, ‘Take Me Out ‘and ‘Dark of the Matinee’. Heading back to the Common stage post-KT felt like swimming against the tide. 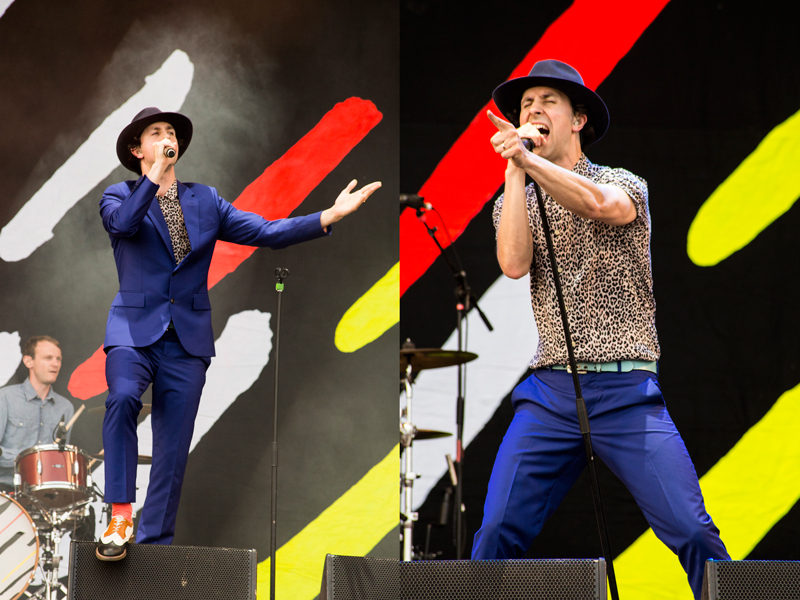 Both Scottish acts had wrapped up at the same time, and a tidal wave of fans were making their way to pack out the Castle stage to finish their weekend with a bit of pop, courtesy of Olly Murs. The X Factor star had his own following at the festival, after arranging tickets for fans who had missed out on two shows in the South due to a promoter going out of business. That’s not to downplay the crowd surrounding Common stage headliners Elbow – yet another gathering wrapped up their experience at Victorious festival taking in the sounds of the veteran rockers, swaying in unison whilst singing along to ‘One Day Like This’. 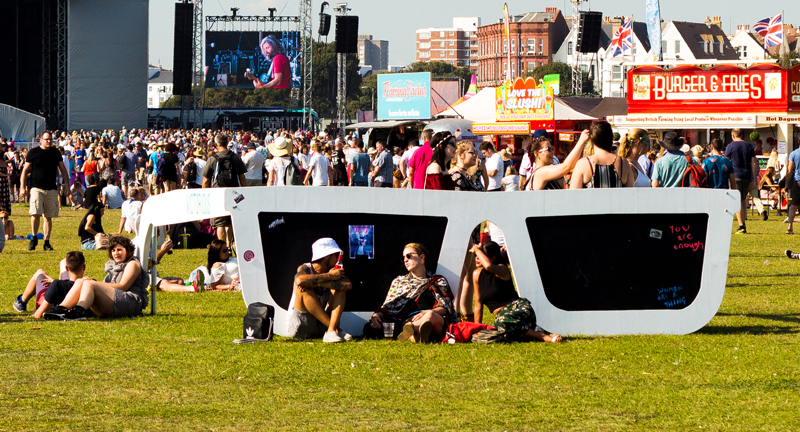 With that, two and a half days of what felt like a truly hot, buzzing British summer festival came to an end. 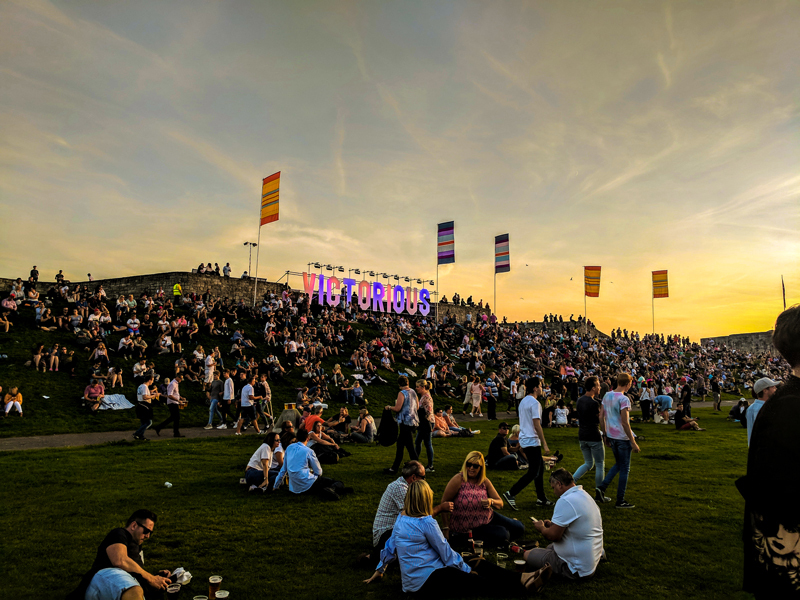 This was our second visit to Victorious – the first being a couple of years ago – and it’s clear that the festival has made the leap to become one of the UK’s top summer music attractions. For more photos from the festival check out our Flickr page!